Next stop on my little European tour is Codebits in Lisbon, Portugal! Usually blog posts with the words “problem, “considered harmful” and similar are just crying foul, but I would like to bring up something I actually believe is/will become a real problem: HTML5 syntax options. About a week and a half ago, I had the pleasure of speaking at JSConf.eu! One of the most common problem on the web is slow web sites, wasting he time of end users. Now, perhaps, Mozilla has come up with a solution for this, which will be applicable for all web browser vendors. 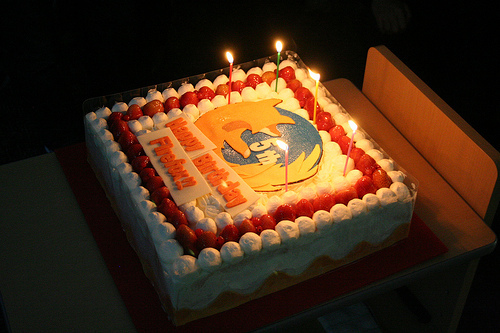 Firefox turns five years old today – congratulations! Today is a very special day, for many reasons, but the one I wanted to bring up is Firefox turning five years old! This just in: Speaking at JSConf.eu November 7th-8th 2009! I’m very happy to say that I will speak at at, and participate in, JSConf.eu in Berlin this upcoming weekend!